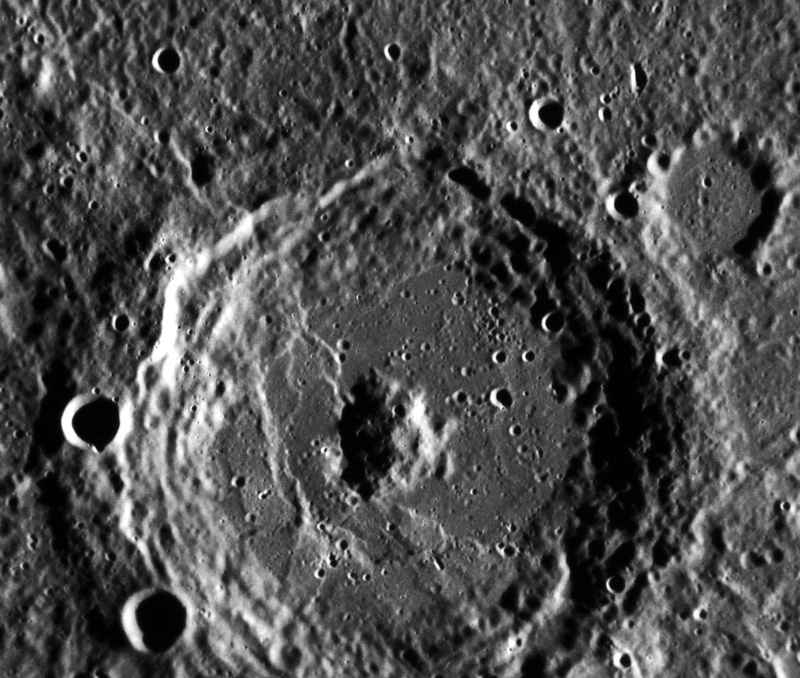 Named after the 17th-century English metaphysical poet, Mercury’s Donne crater was captured in this image by NASA’s MESSENGER spacecraft. The 53-mile (83-km) -wide crater features a large, rounded central peak and numerous lobate scarps lining its floor. What are lobate scarps? Find out more here.